All repertory must come from the standard literature written for the instrument. Hinson, McGrath and the OMTA Repertoire list are reliable sources for the piano. Questions concerning repertoire for strings may be directed to Sam Taylor, Strings Division. Arrangements and transcriptions (unless made by the composer) are not eligible for inclusion in this event. The notable exception would be an orchestral reduction for the use of the accompanist (e.g., a violin concerto). The time limit for all solo performances is 7 minutes with the exception of concertos which may not exceed 12 minutes in length. There is no separate Concerto Division. These are assigned to the appropriate applicable age group. If you require further information, please contact the appropriate division chair, or email CCMF. All solo performances must be memorized. Original editions of musical pieces must be made available to adjudicators. We ask that all performers wear professional concert attire. Prize winners agree to include on their printed resumes used for public performance that they have participated and won in the Cascades Classical Music Foundation competition event. CCMF reserves the right to assign participants in the category "Other Instruments/Ensemble/Voice" to first or second categories. 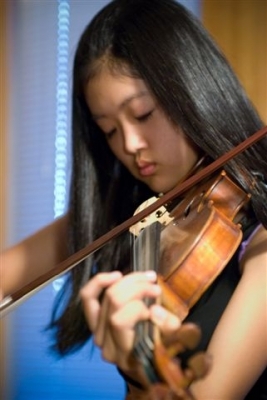 Cascades Classical Music Foundation reserves the right to publish photographs of performers taken during the competition.